Since 2000 years, Aloe Vera is a tried and true natural remedy, that has been used by various cultures all over the world. It is the most important part of daily skin care. St. D'vencE Aloe Vera Gel is a premium fast absorbing, silky soft, thin cooling gel - an excellent daily moisturizer for entire body. It forms a protective barrier, revitalizing chapped, sun-exposed, moisture deprived skin while helping normal skin to retain moisture. Non-oily moisturizer lavishly provides effective relief from sunburn, minor burns, skin irritations, insect bites, chafing, itching, and dry skin leaving no sticky residue and promoting all round healthy and nourished skin. A soothing amalgamation of Aloe Vera and Vitamin E when applied on skin, forms a silky barrier to prevent excess moisture loss and protect against dryness. The astringent property of Aloe Vera removes excess oil and dirt from the skin to prevent acne breakouts. Not just pimples, it also helps to reduce acne scars by promoting skin regeneration and further helps to regulate the pH balance of the skin. Explore the entire range of Face Moisturizer & Day Cream available on Nykaa. 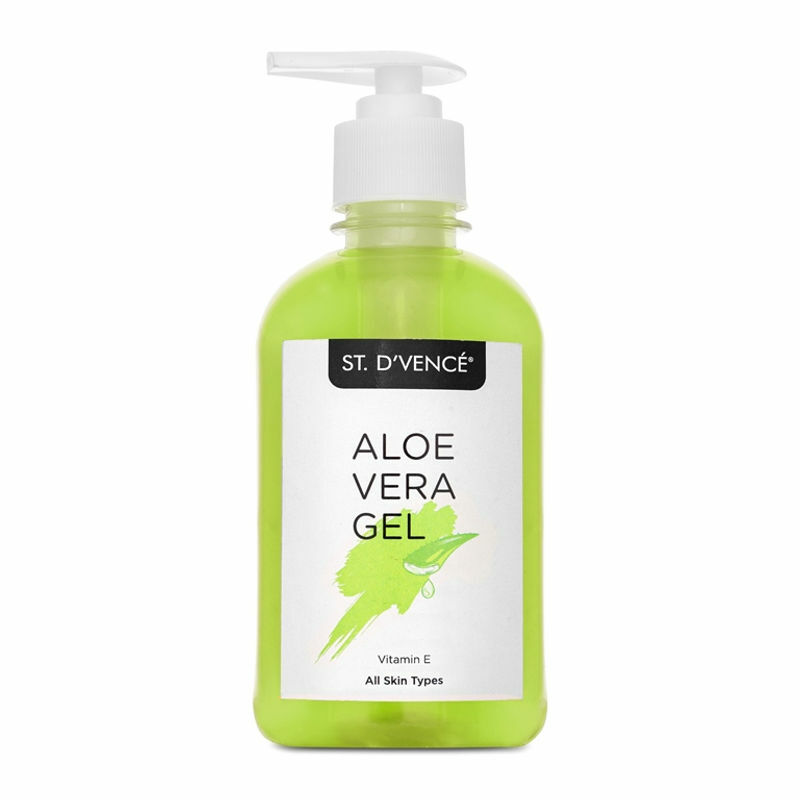 Shop more St. D'Vencé products here.You can browse through the complete world of St. D'Vencé Face Moisturizer & Day Cream .